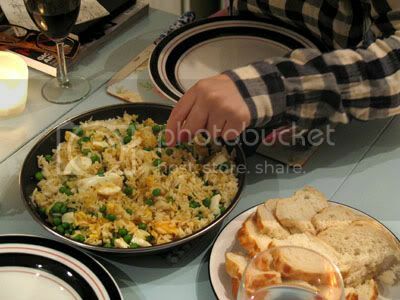 The first time I had Kedgeree was when my friend H made it for me. It's one of H's favourite meals and it quickly became mine. It's easy and for me definitely falls within the category of comfort food. It's traditionally served for breakfast, but to me it's a perfect dinner and I always make sure that there is enough to take to work for lunch the next day. Poach your fish in some milk or water until it flakes easily. Use the poaching liquid to cook the rice until done, whilst keeping the fish warm. Whilst the rice is cooking, hard boil the eggs, peel and roughly chop. In a large frying pan, melt the butter, add the rice, flaked fish, peas and season with curry powder, lemon juice, salt and pepper to taste. Garnish with chopped parsley and serve hot with bread and butter. 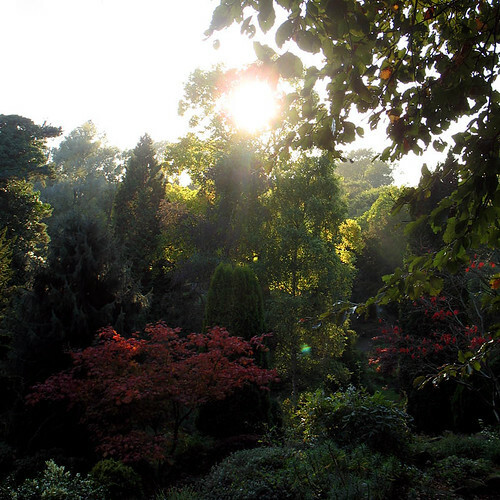 I am still alive and seem to be too busy enjoying life and this glorious autumn weather to blog. Thanks to all of you who have asked me what's up and told me to get blogging again. I will. Shortly. Promised.